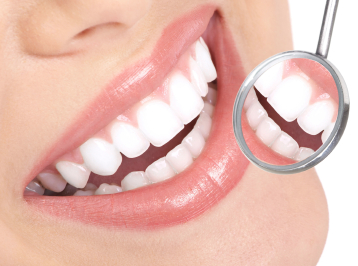 Cavities form when bacteria are allowed to attack tooth enamel and actually enter the tooth. Fortunately, there are several ways patients can take care of themselves at home and prevent cavities. Here are a few from the dentists at Smiles at Fairfax Corner. To avoid tooth decay, it’s important to brush at least twice a day with a soft bristled toothbrush that carries the American Dental Association’s seal of approval. Select a toothpaste that contains fluoride and is also ADA-approved. If you cannot brush your teeth soon after eating, drinking water and chewing sugar-free gum can help clean out your teeth and wash away bacteria that could cause tooth decay. Flossing is just as important as brushing. Dental floss reaches between the teeth to areas a toothbrush cannot reach, clearing out pieces of food and plaque that forms between the teeth. Whether you prefer traditional floss, flossers, or a dental pick, it’s very important to clean in between your teeth. When your diet is full of sugary junk foods, your teeth suffer along with your overall health. Avoid sugary, acidic foods and beverages that will eat away at your enamel, or be sure to clean your teeth soon after you consume them. Replace them with healthy snacks; some foods, such as apples, can actually scrub at your teeth while you eat them and keep your teeth cleaner! This tip may seem odd, but did you know that most water supplies contain added fluoride? This mineral is added to drinking water specifically because it strengthens tooth enamel and therefore helps prevent cavities. If you are only drinking bottled water, you are likely missing out on the benefits of fluoride. You may wish to start drinking water from the tap or ask your dentist about fluoride treatments. When it comes to cavities, prevention is always better than treatment. By taking a few basic steps, patients of all ages can prevent painful and costly cavities and enjoy better oral health. If you already have a cavity, and are seeking treatment, please give our dental office a call today, or contact us here.